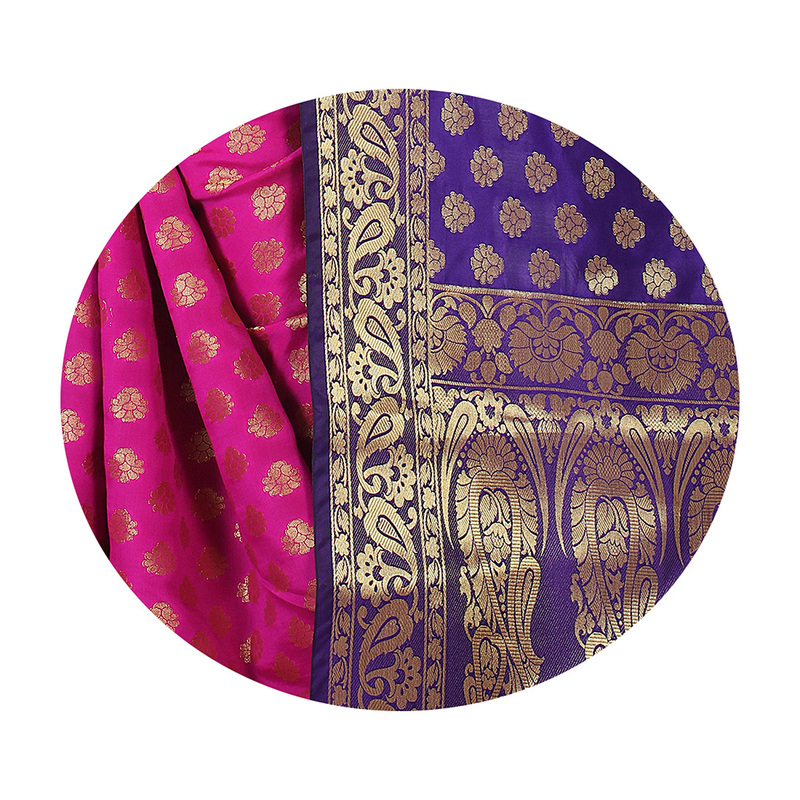 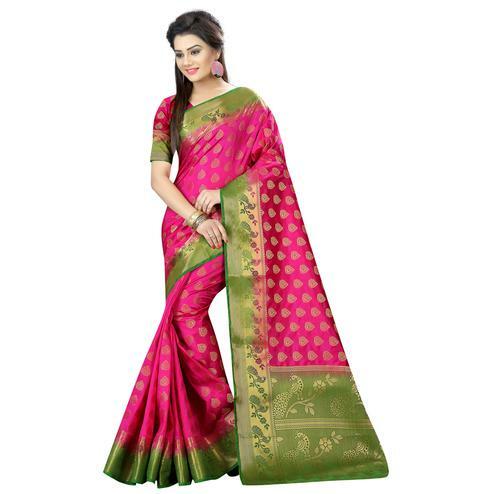 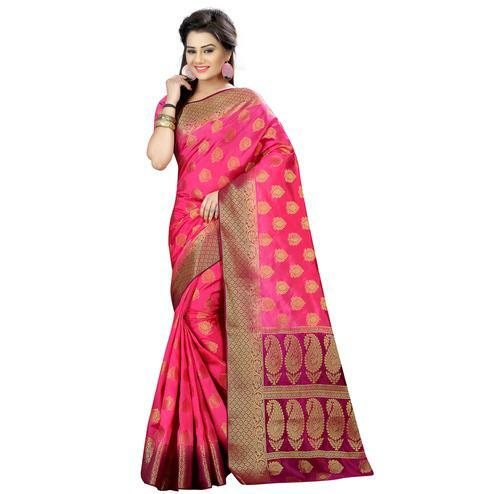 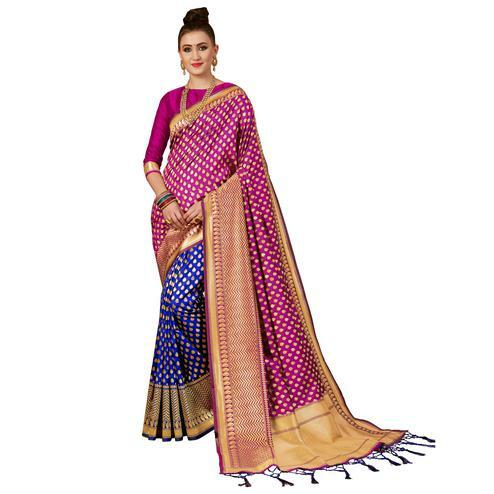 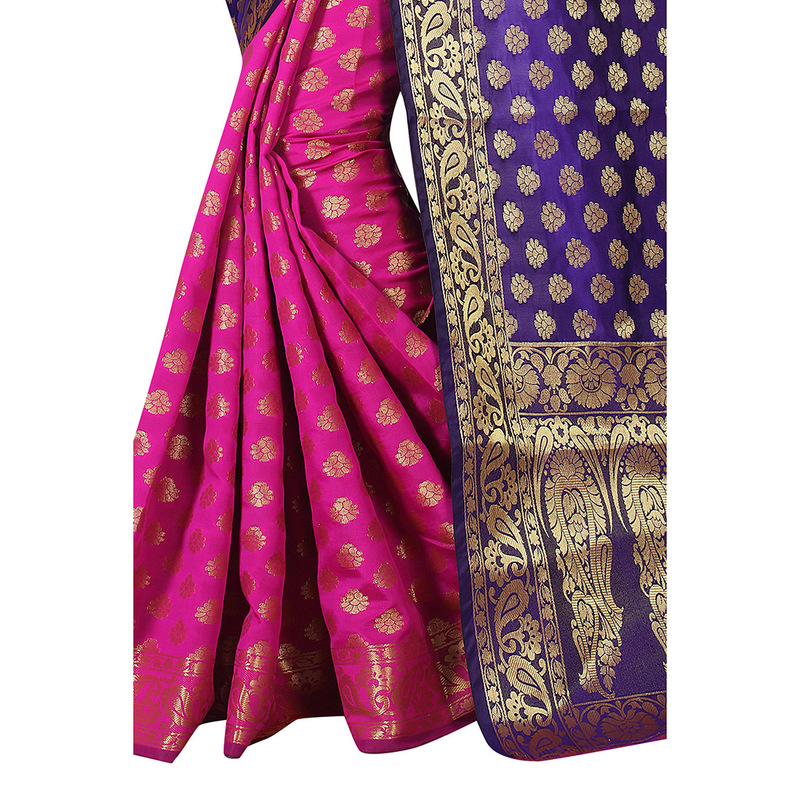 Get the best traditional look for your traditional family functions or festivals wearing this purple - pink saree. 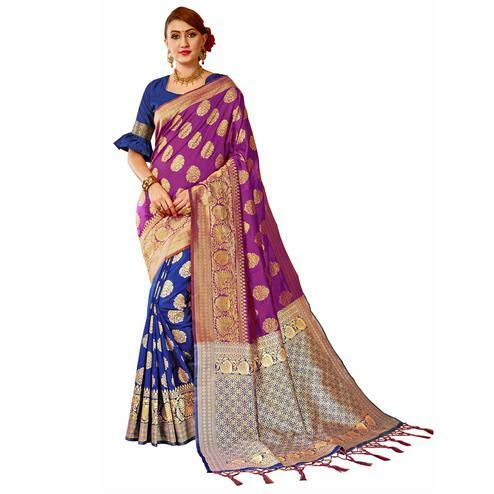 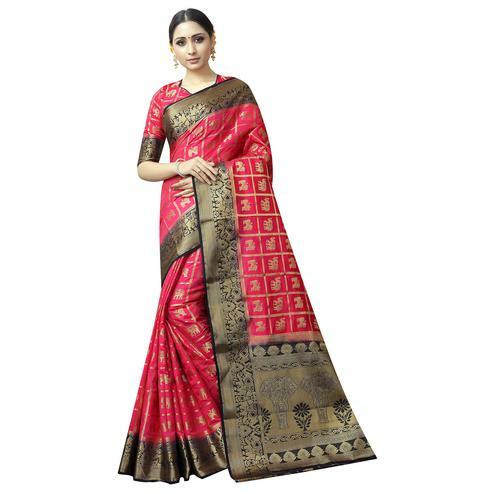 This saree fabricated on banarasi silk is beautified with weaving work done in the form of small floral motifs at body big paisley motifs at short pallu and small floral and paisley design at border. 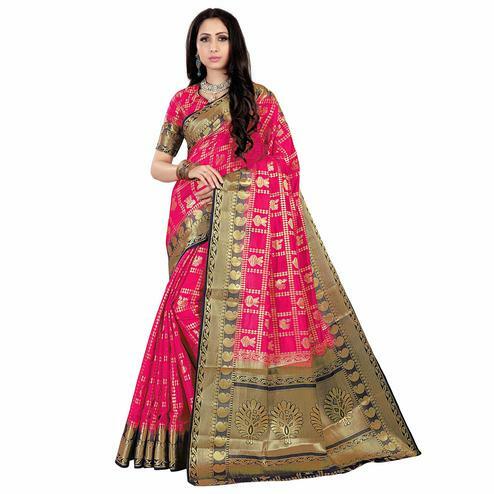 Available with pink banarasi silk blouse piece in unstitched type. 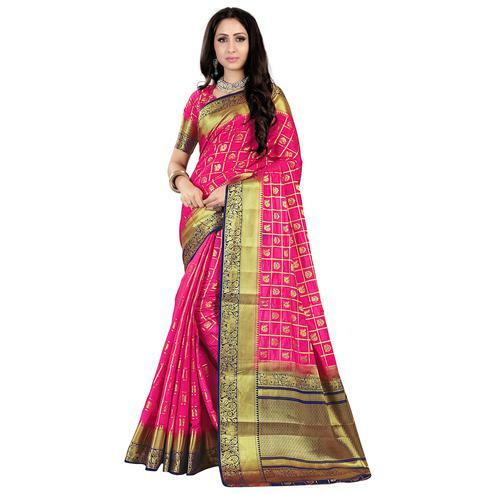 Best suited for traditional functions festivals and occasions.